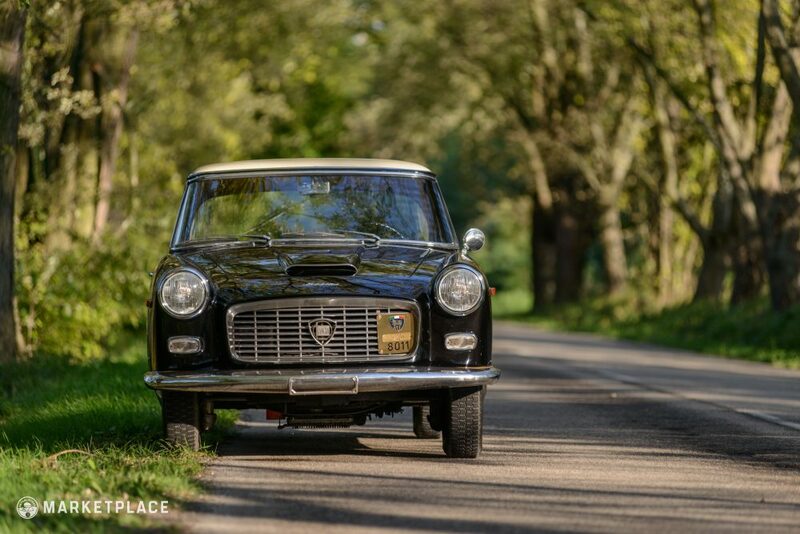 The first series of the Lancia Appia came to market as a 1953 model-year car that would see its second iteration chassis handed off to some of Italy’s most talented coachbuilders. 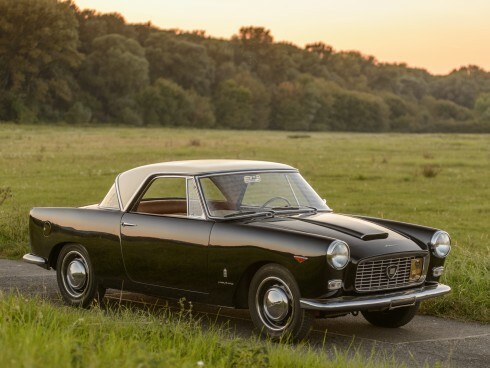 Among the designers at Zagato and Vignale, the longtime Ferrari collaborators at Pininfarina were also given a number of chassis upon which they’d build their own interpretations in two-door form. 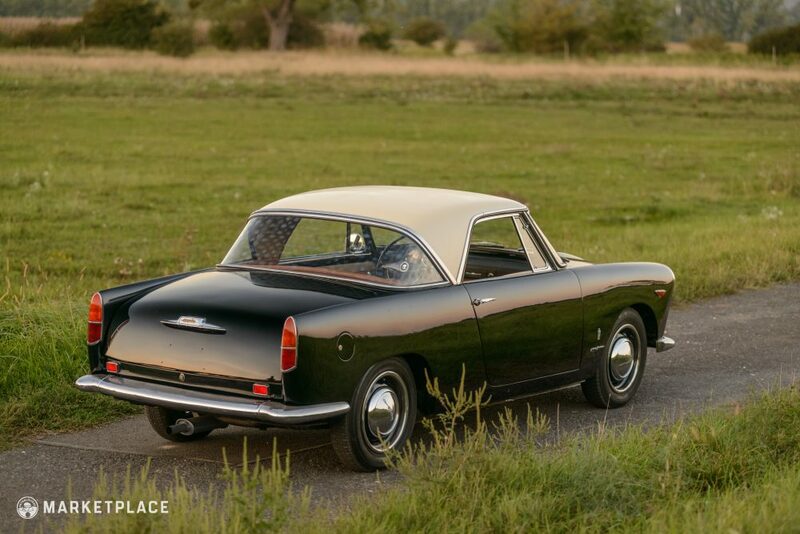 This 1958 Appia Coupé by Pininfarina is located in Budapest, Hungary and offers correct resprayed paint along with its original bodywork, mechanical components, and trim pieces. 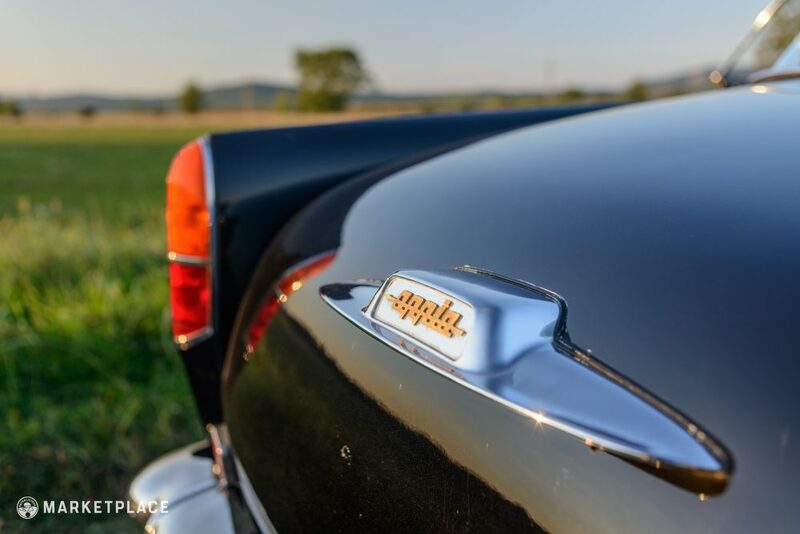 The interior has been reupholstered in original-supplier-sourced materials, and together with the fresh and correct two-tone black and creme scheme, this Appia is one of the sharpest of the few that you’re (un)likely to see on the road. 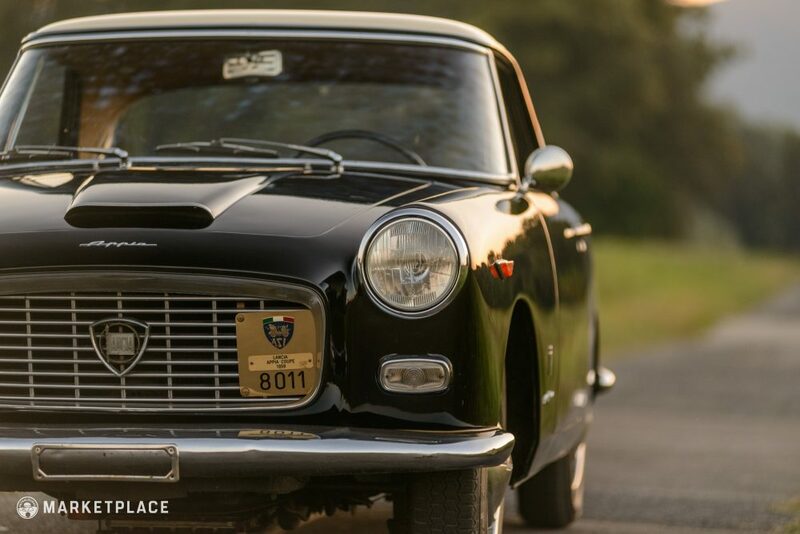 Motion comes via the front wheels connected to the Appia’s compact staggered cylinder design 1,089cc V4 engine, and while the 50-odd horsepower it produces isn’t as exotic as the numbers that can come out of an Italian twelve, speed isn’t exactly the point of this stylishly small coupé, and the Lancia driving experience is always a unique one, regardless of purpose. 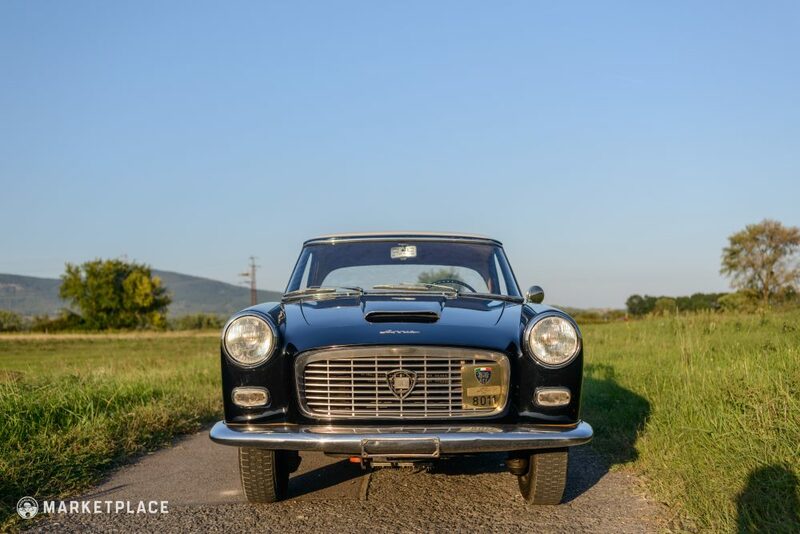 Body – All panels are original on this Lancia, and fitment appears tight and even throughout given their age. 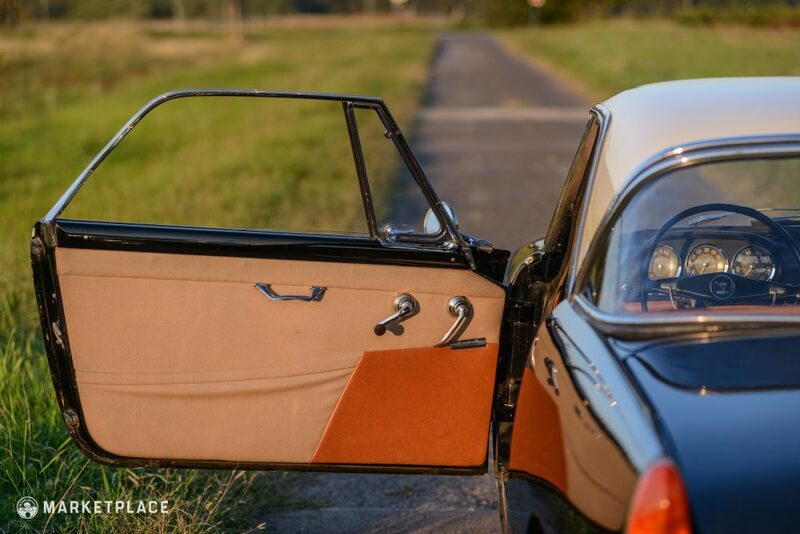 The doors are flush with the wings when closed, and fitment of the hood and trunk lid is also as it should be. 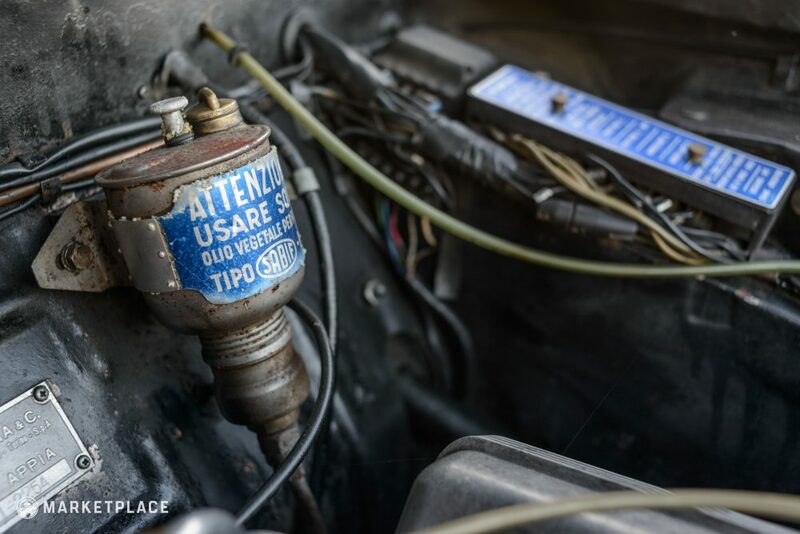 No corrosion is noted on the car, or under it for that matter. 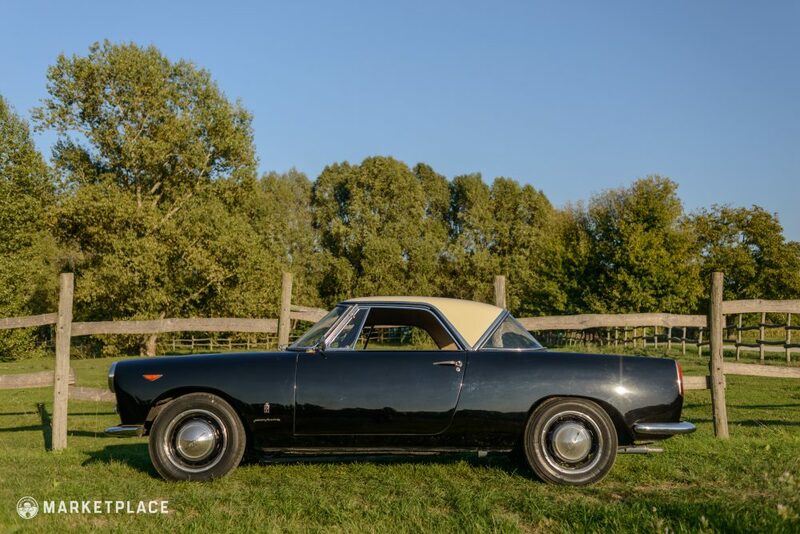 Paint – The paint on this Appia is not original, but the two-tone colors are consistent with the way the car came from the factory and matched to the original specification. The paint presents in excellent condition today, and is free from bubbling, cracking, and fading. 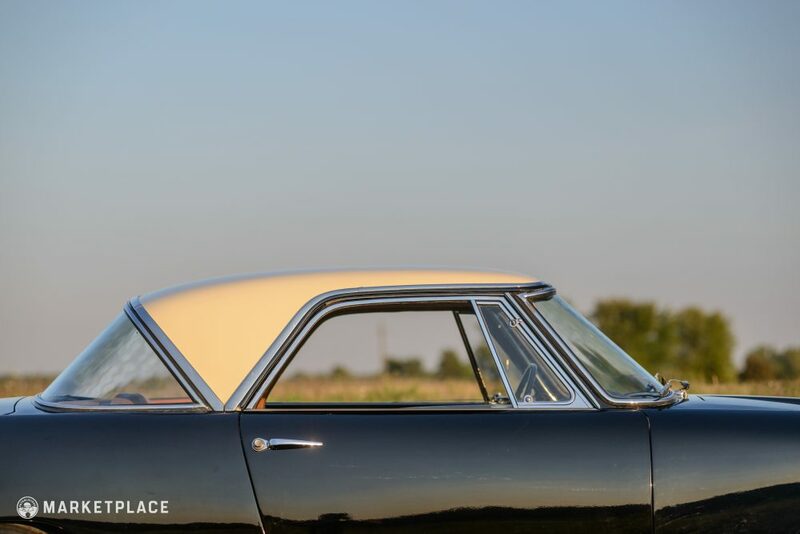 It has depth in every light, and plays wonderfully off of a bright blue sky reflected on its flanks. 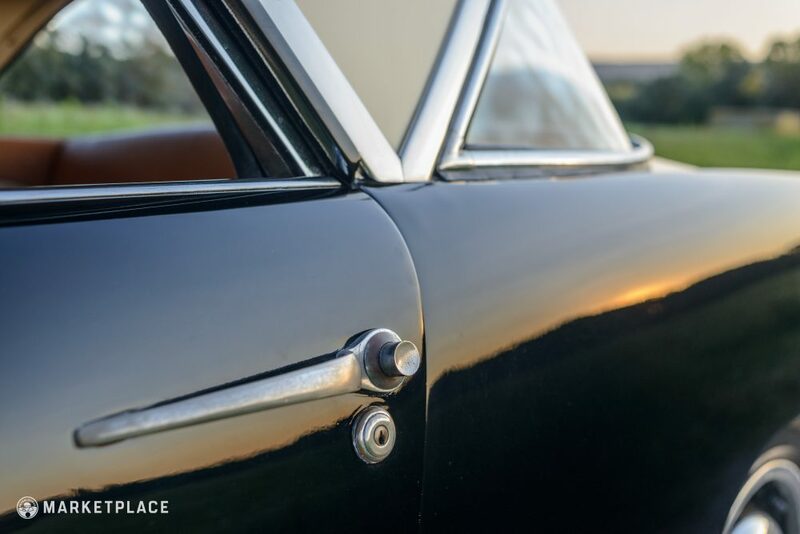 Trim, & Glass – The various pieces that make up the Pininfarina-bodied Appia’s trim package are very difficult to source in 2018, and given the jewel-like qualities of brightwork design inside and out, finding an intact kit is a large determinant of how much time you’ll spend enjoying the car versus looking for pieces for it on the internet day in and day out. 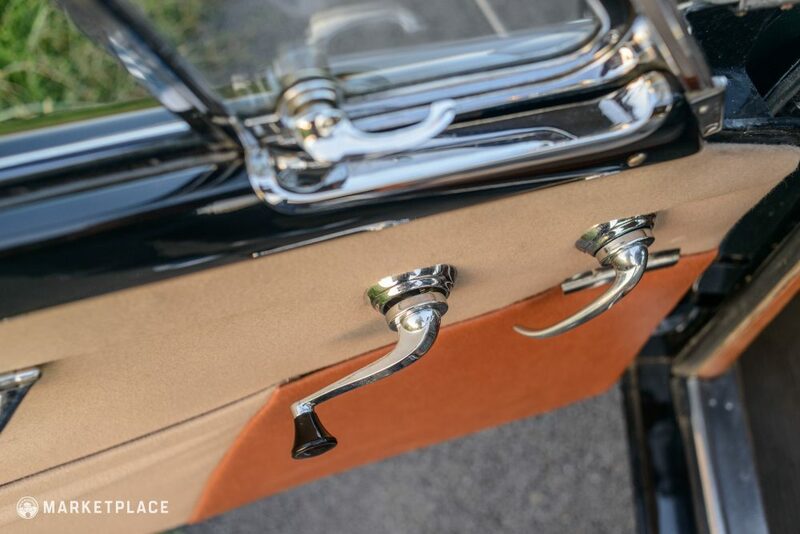 All pieces here show a little bit of patina but look remarkably clean, intact, and well-fitting given their age. 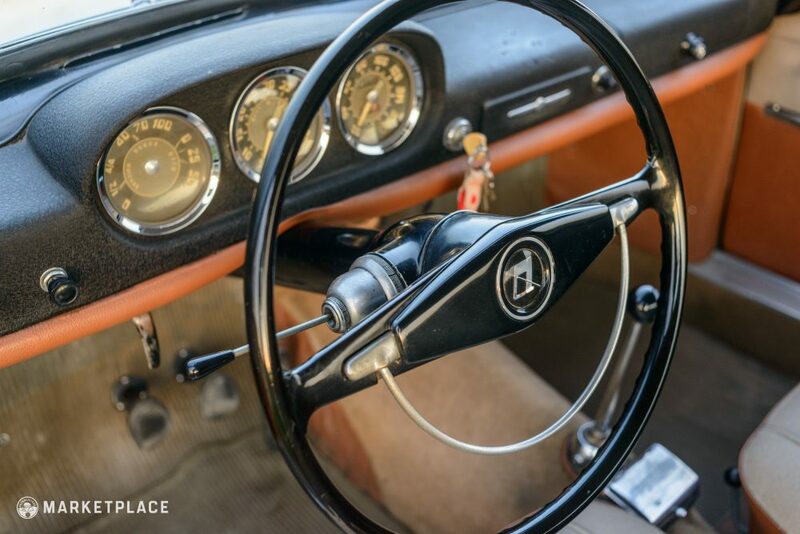 All trim is original. 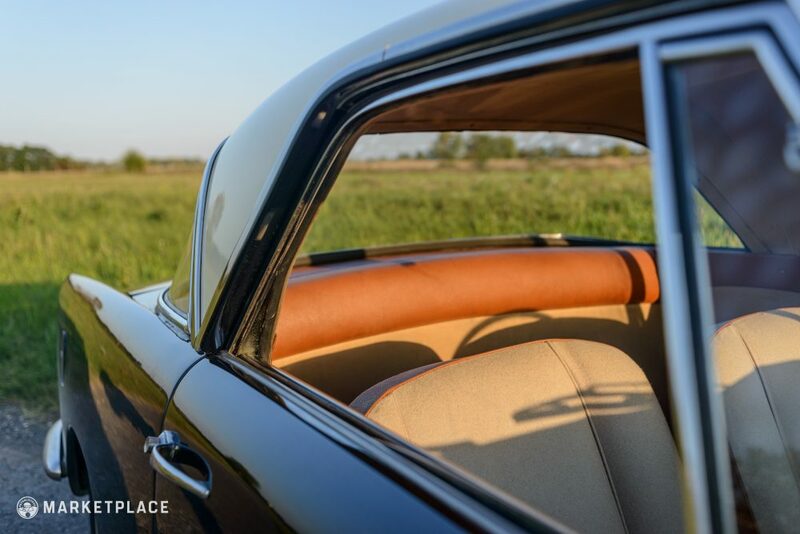 Glass is original, including the wraparound rear window, and is free of chips and hazing. 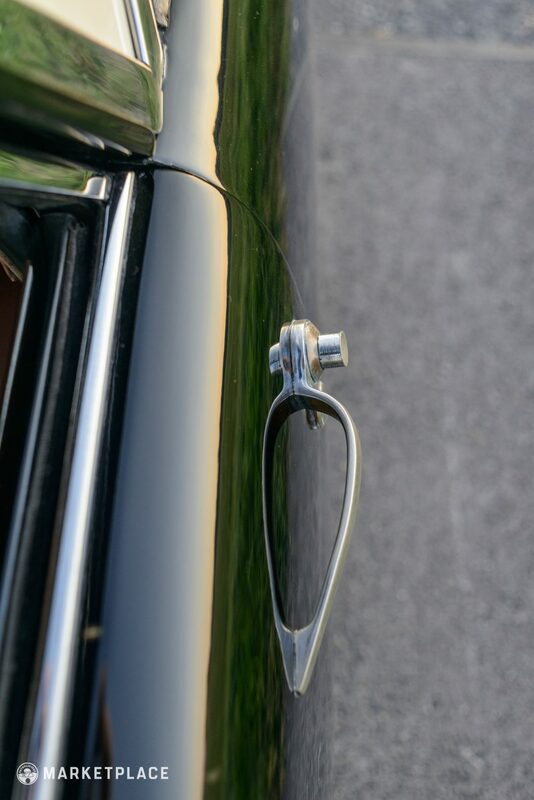 The rubber gaskets and seals between the glass and trim are also original, and as such are cracking in a few places, but not to a degree that necessitates replacement should the next owner want to keep the original rubber. 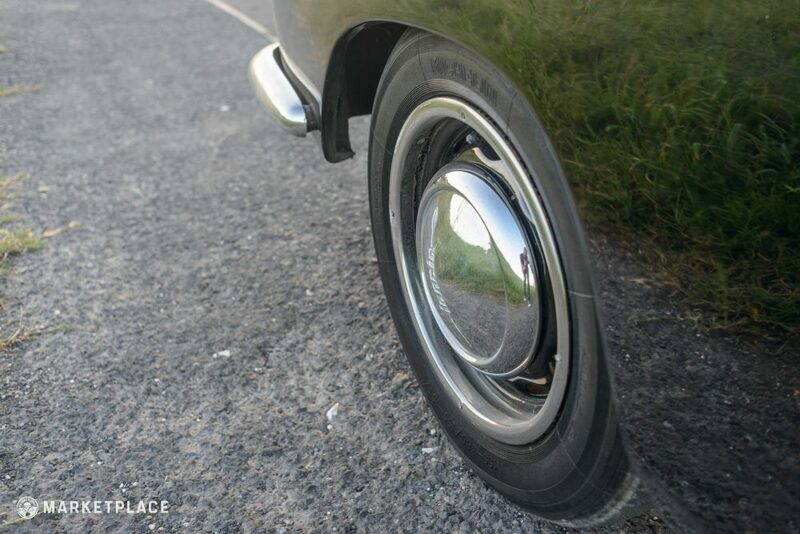 Wheels – The wheels are original units with color-matched steel fitted with chrome hubcaps and trim rings. 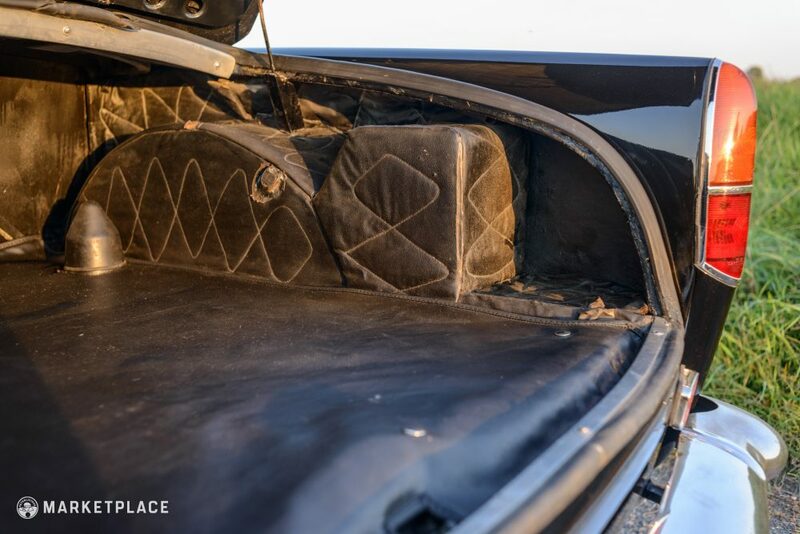 Since they are original pieces, there are a few slight dents and imperfections in the trim rings from decades of tire changes over the car’s life. 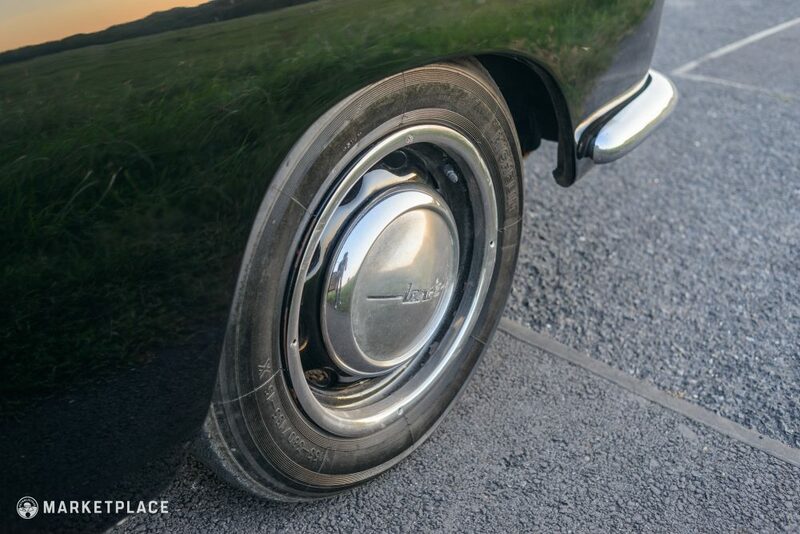 Tires are recently replaced, but are a period-correct Michelin design and sized appropriately for the car. 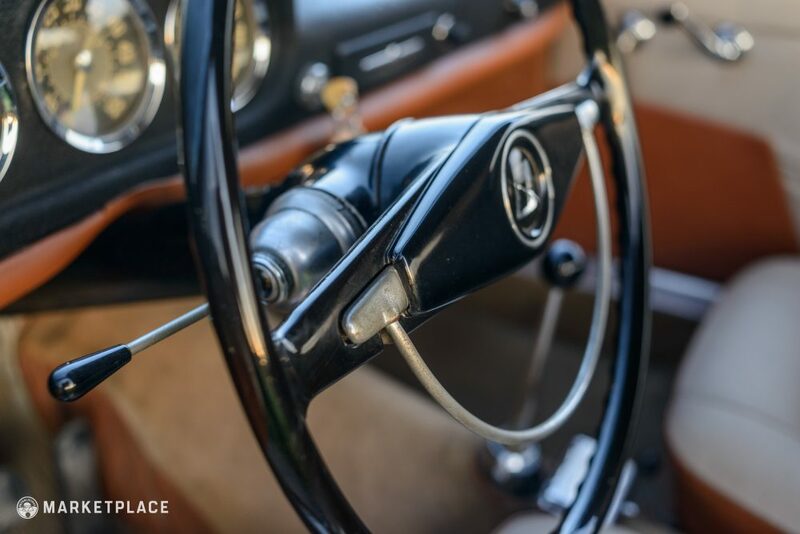 Steering Wheel – The original steering wheel is present and functioning, including the novel horn button that hammocks below the chic twin-spoke design of the thin gloss black wheel. 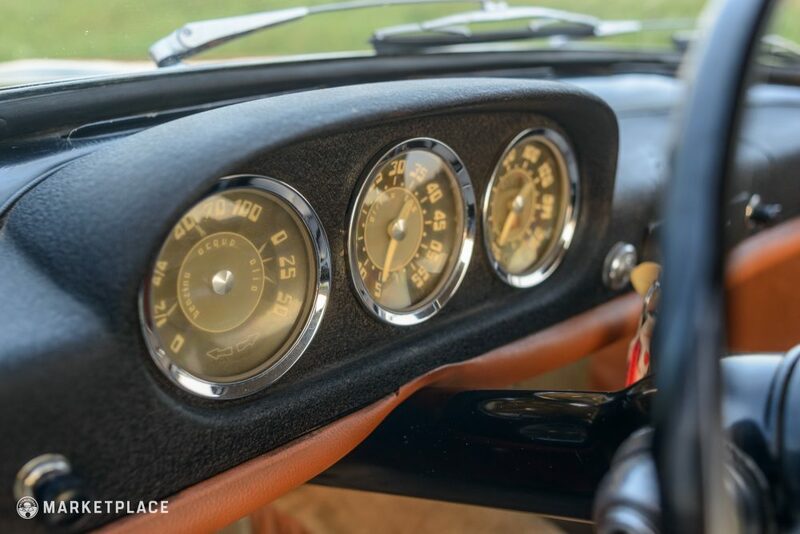 Dashboard & Instrumentation – The dashboard and instruments are original to the car as well, and the trio of Veglia gauges are all functioning as they should. 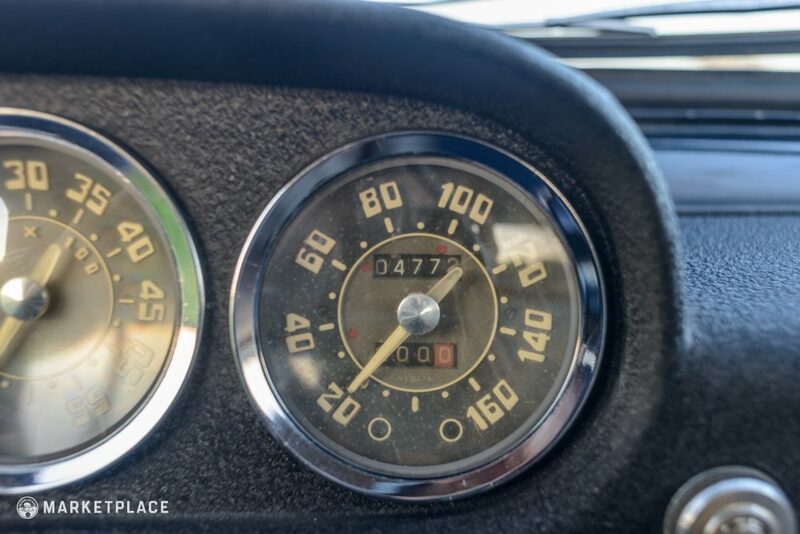 At one point in the car’s life, someone drilled some small holes in the dashboard to mount something like a rally timer, and they appear in the photos below to the right of the gauge cluster. 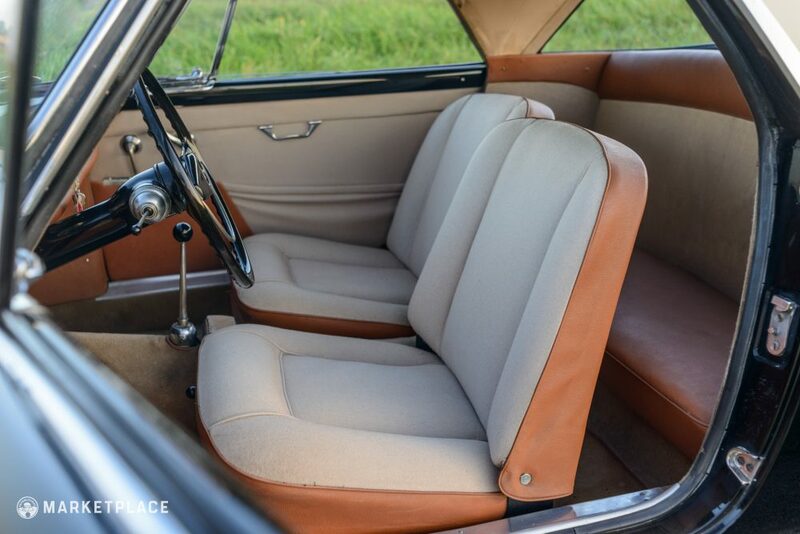 Seats, Trim, & Carpet – The materials inside this Appia are not original, but they were all sourced from Lancia’s supplier, so they are the correct ones. 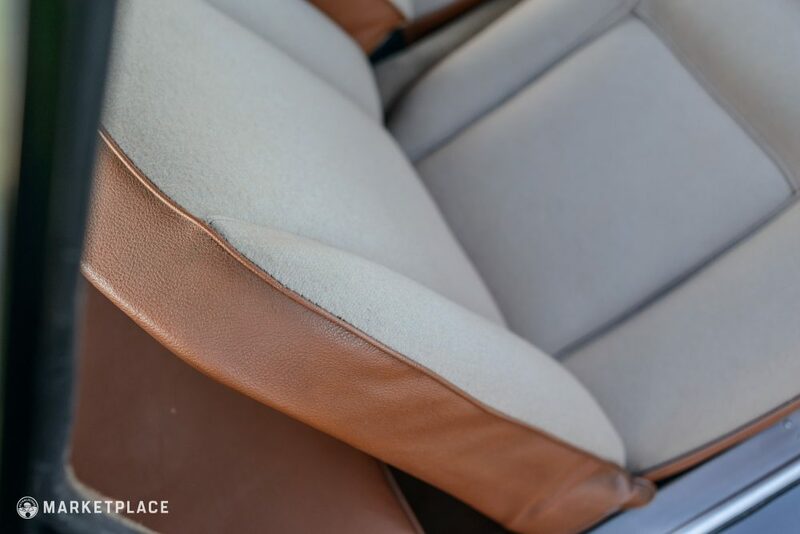 The reupholstery work was completed by a family-run shop in northern Italy. The carpets have a few marks consistent with their age. 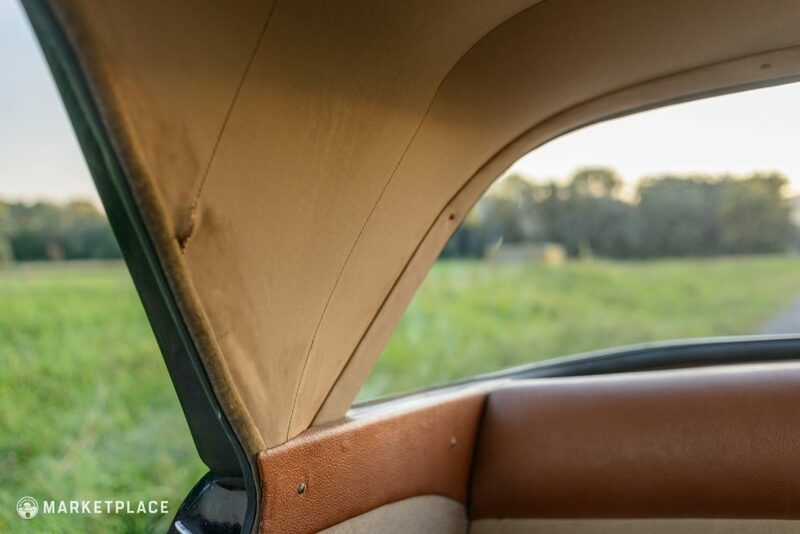 The headliner is original, and shows a few stains and tears in the places you’d expect to find them, but it still fits tightly to the roofline and certainly doesn’t need replacing. 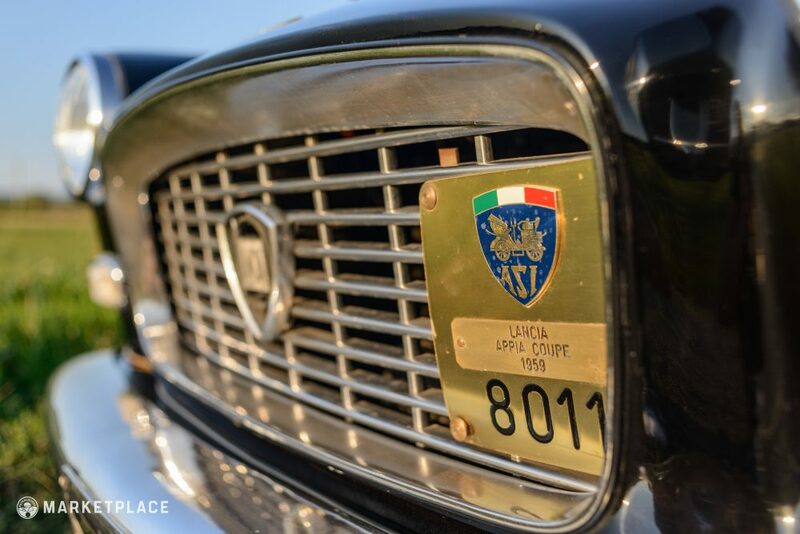 Engine – The diminutive four-cylinder in the Appia might not be the largest in terms of displacement or power output, but it is a mark of Italian engineering talent that is interesting in ways that huge mills with multiples more cylinders are not. 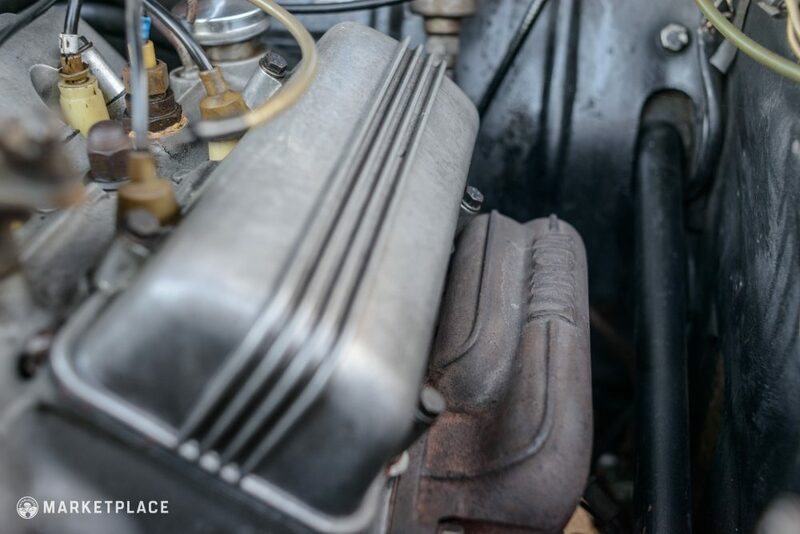 For starters, the V4 is not a simple symmetrical design, and the staggered arrangement of the cylinders keeps things extra-efficient, which only helps the already-lightweight car’s balance. 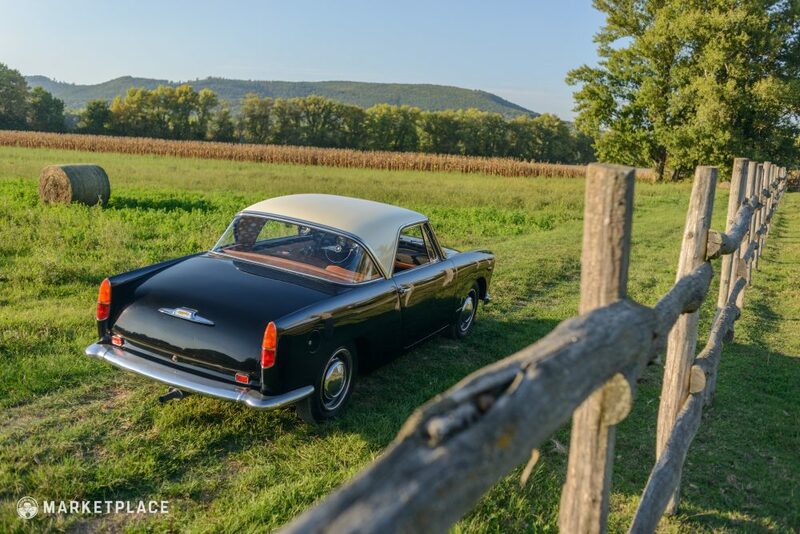 The motor produces enough horsepower to squirt around town and cruise on undulating backroads, but it’s not a motor with chassis-twisting torque. 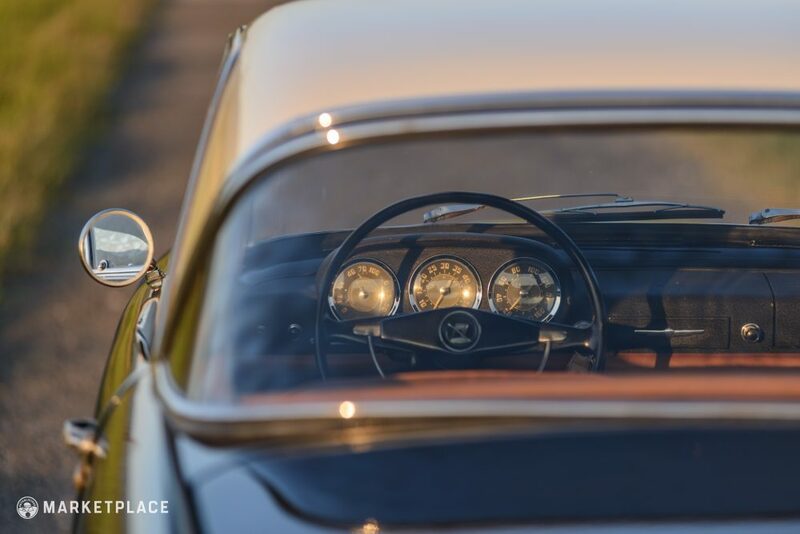 The design came from Vittorio Jano, who became famous for his work in powering early Alfa Romeo and Ferrari competition cars to Gran Prix victory. 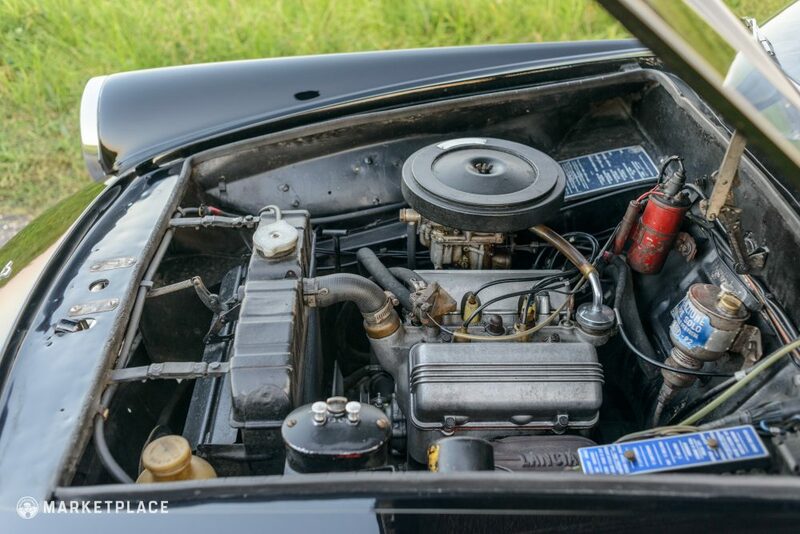 In other words, the guy who designed this car’s engine knew what he was doing when building this compact twin-cam. 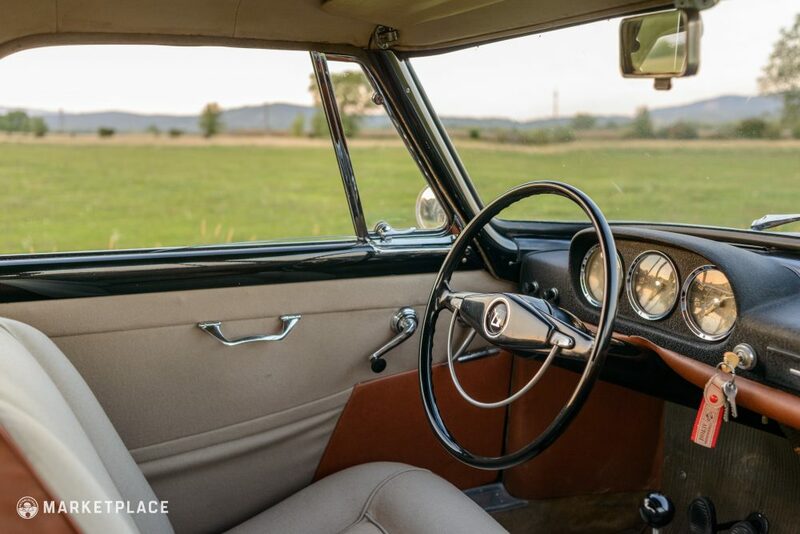 The Drive: Unlike the Berlina (sedan) Appias, the chassis that were given to coachbuilders during the car’s second and third generation came fitted with a tunnel-mounted floor shifter instead of the less-sporty column-shift, and these were also beneficiaries of a slightly more powerful engine than the standard, widely produced sedans. Once you get the hang of it, the V4 in this car starts up reliably and consistently, and it revs and accelerates happily. 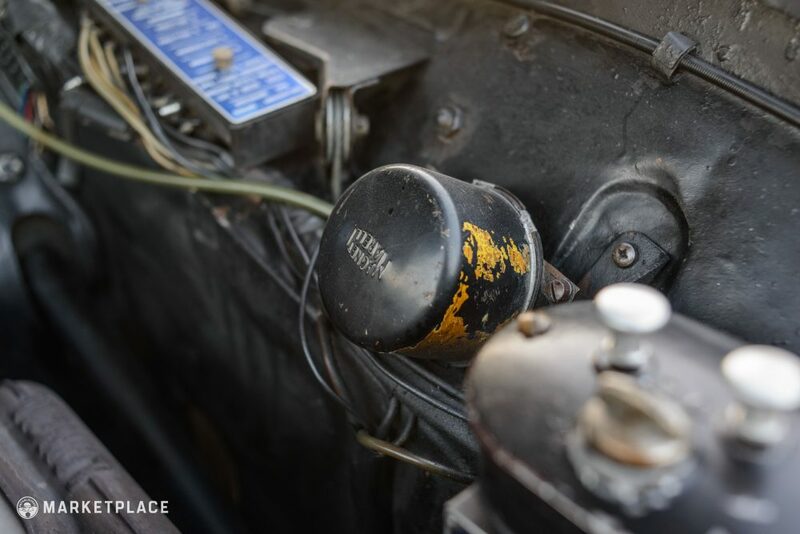 Highly original components means it feels like it was supposed to, and their well-preserved state means this doesn’t come at the cost of them functioning improperly. It’s a terrific cruiser, and easy to use in the city as well thanks to its willing motor and overall light and simple package. 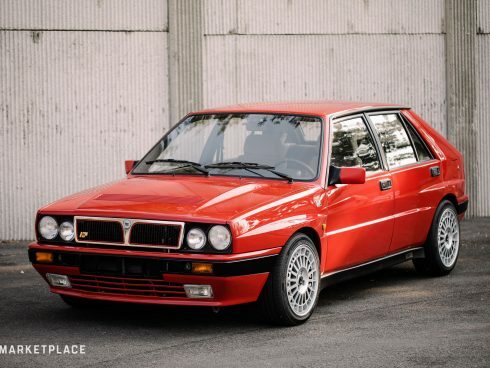 Transmission – The four-speed in these cars features synchronized gears translating the power through the front wheels, which are suspended using Lancia’s independent “sliding pillar” design. 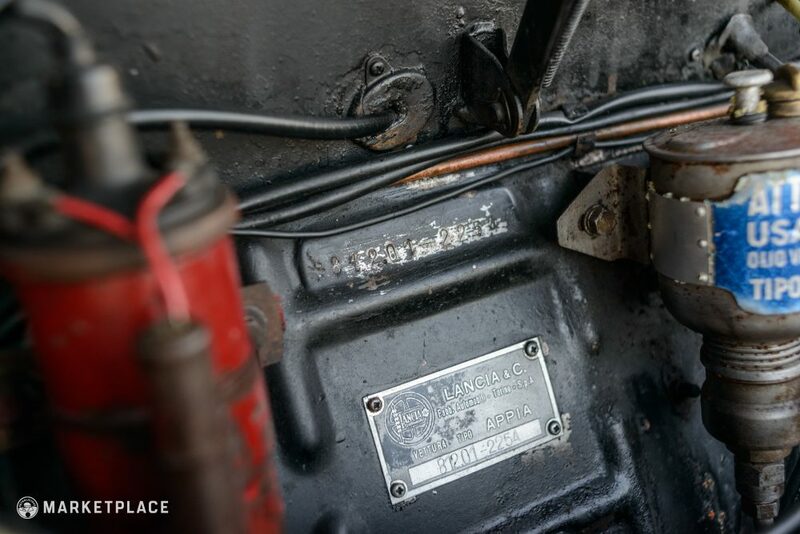 The transmission is all original, and has been maintained by a specialist in Italy. 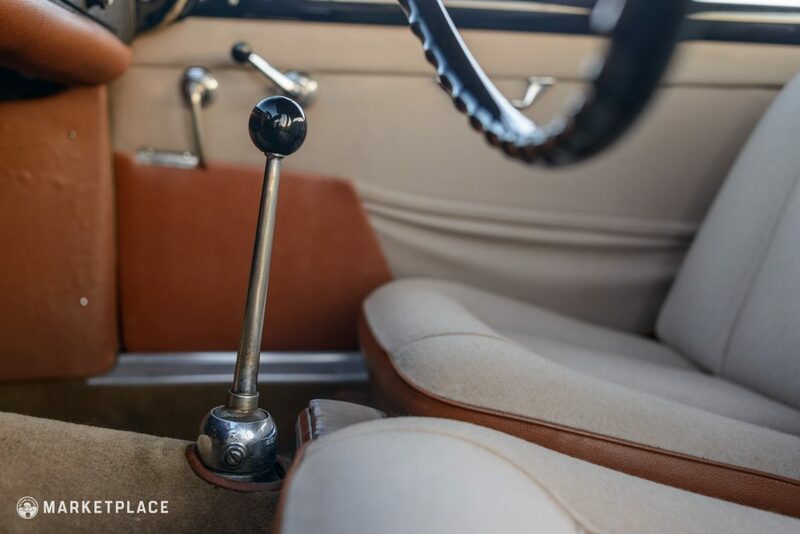 The Drive: The four-speed unit is original and consistent maintenance and care provide a smooth experience between all four forward gears and reverse. 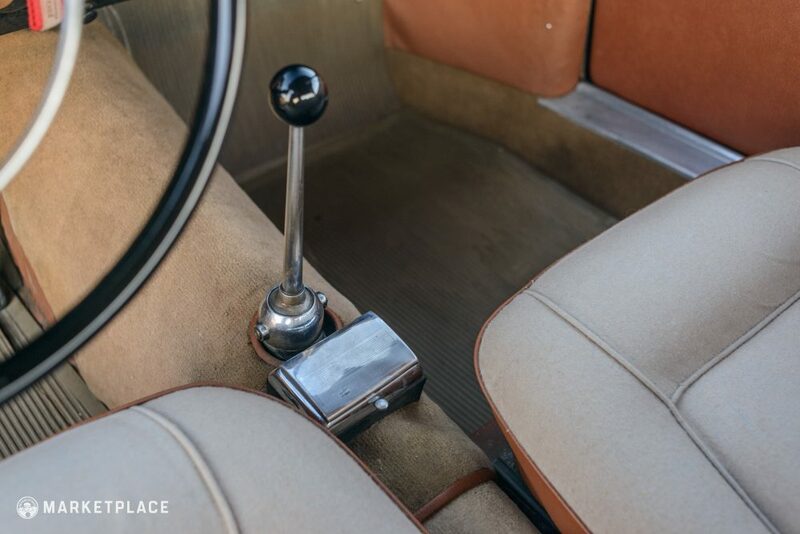 There are no grinding issues, no problems with popping out, and the floor-mounted selector finds its place quite easily during the drive. 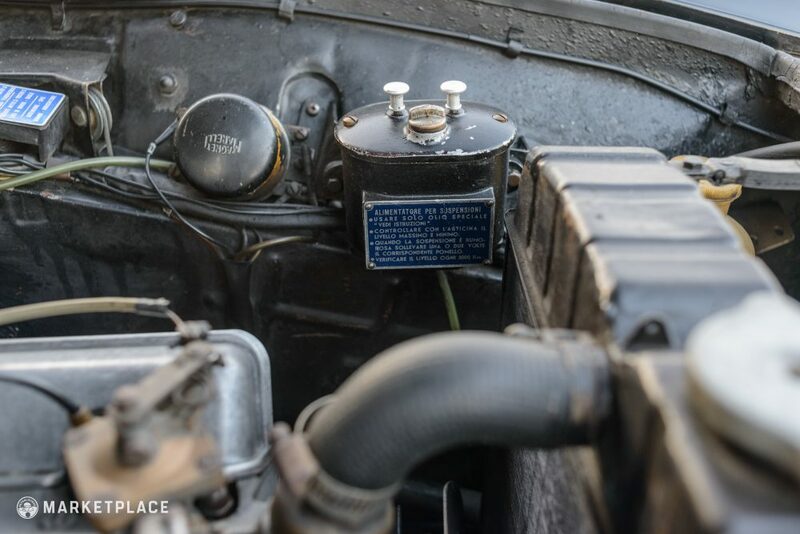 As stated, the paint and most of the interior has been redone on this car, but all the pieces of trim and the powertrain are original, and nothing that you’d need is missing. 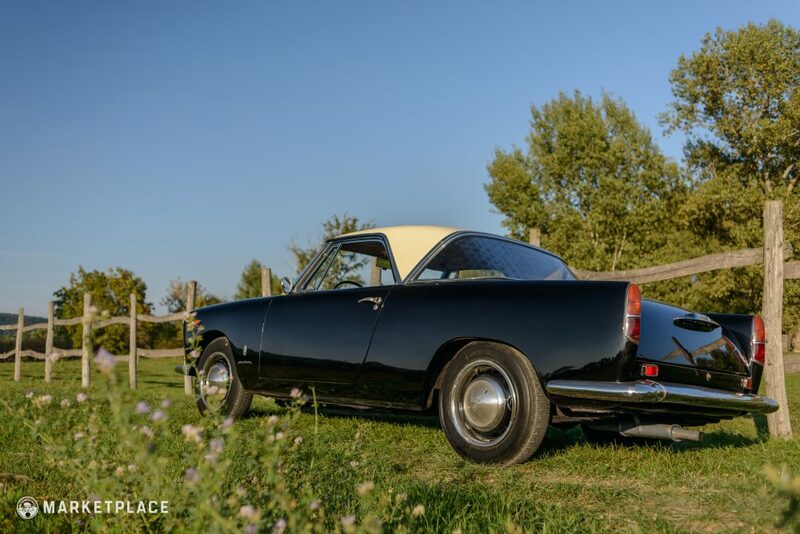 Only 302 second series Pininfarina coupés were built in period, and this is an exceptionally rare early Series III car that was built by Lancia on a Series II chassis. 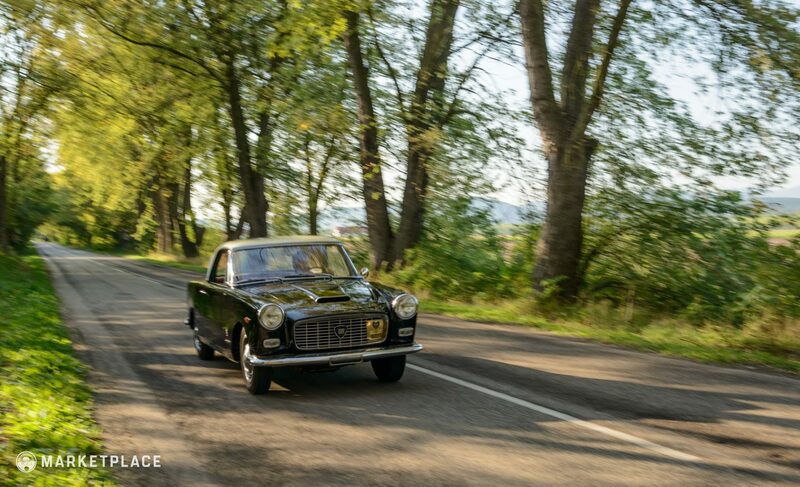 To find a matching-numbers example that presents its original pieces as well as this one does is only getting harder, and this unique car had few like it in period even. 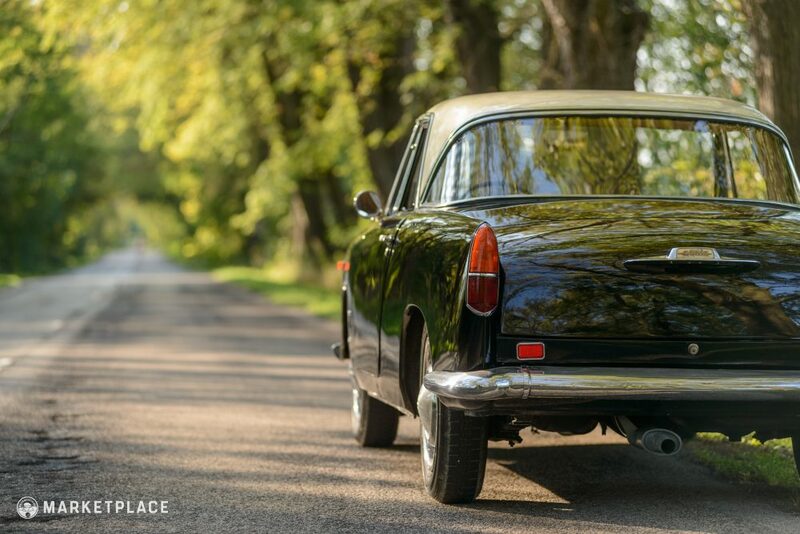 This partial restoration leaves the car with its history intact even if the marks of that history aren’t present in the new paintwork. 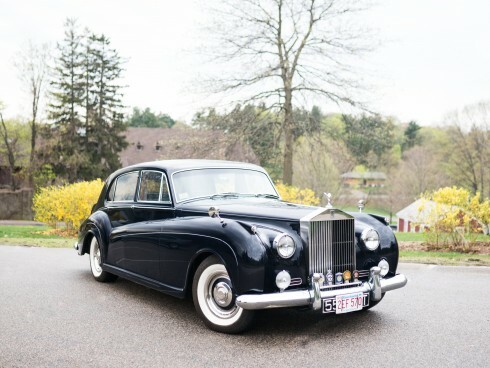 In summary, it makes for a beautiful car that looks and behaves as it should. 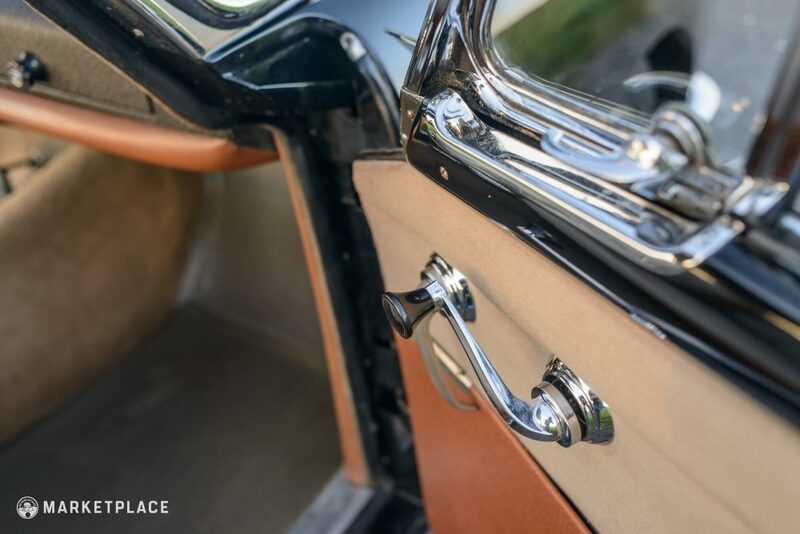 No Missing Pieces: Coachbuilt Appias came from a time when the makers of these cars supposedly struggled to make money on them despite no issues in selling them, such was the level of care and craftsmanship given to the creation of even the smallest pieces of interior trim. The fact that all of this very hard to source stuff is not only present, but presenting in excellent condition in this example, makes it a rarity among rarities. 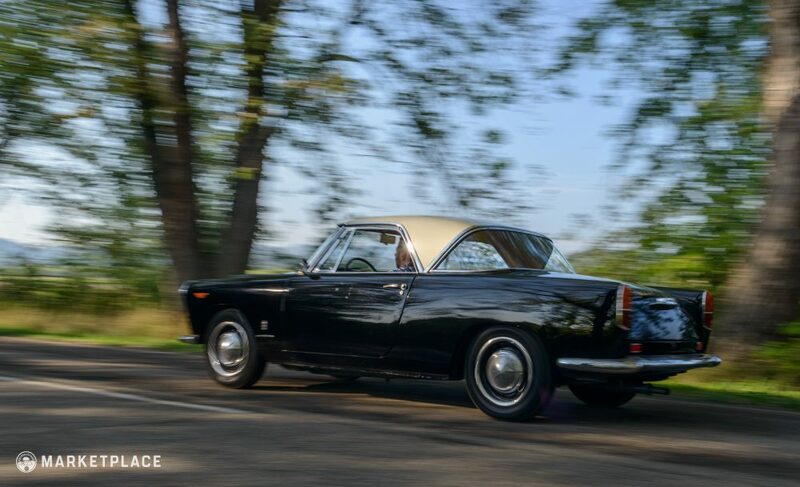 Only 302 second series Appia Coupés like this one were built. 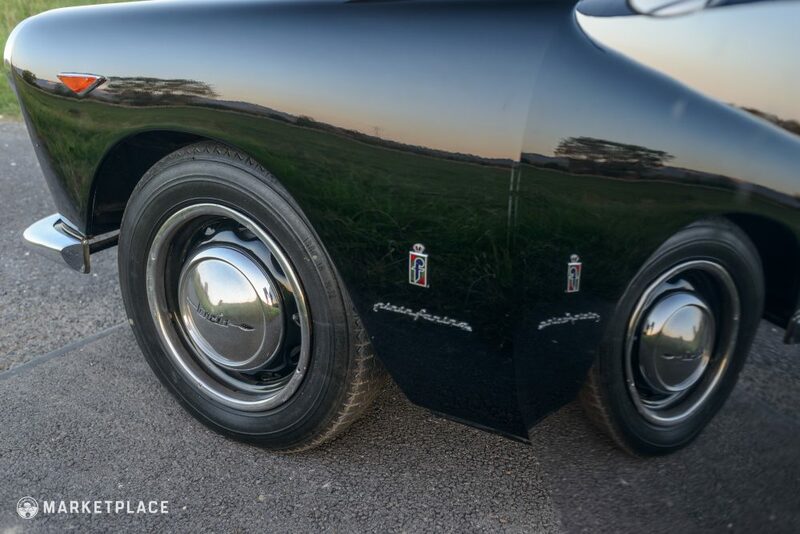 As noted, this is a rare example of Series III bodywork/styling on the 812.01 chassis. As such, the market is not as populated for this specification. 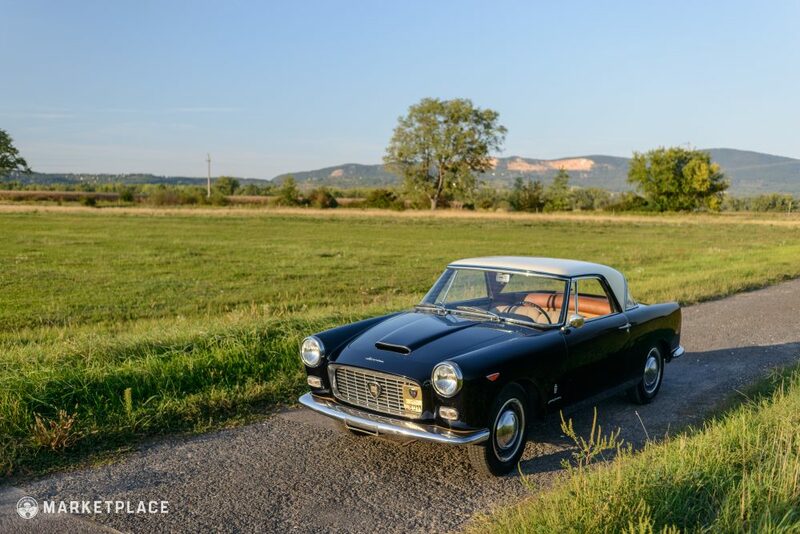 An Attainable Piece Of A Groundbreaking Era: Pininfarina was working on the bodywork of a number of Ferraris in their workshop when they were also handling their version of the Appia Coupé, and it’s a brilliant way to invest in the styling coming out of Italy at the time without paying the premium for more powerful cars that cost magnitudes of money more than this cute coupé. 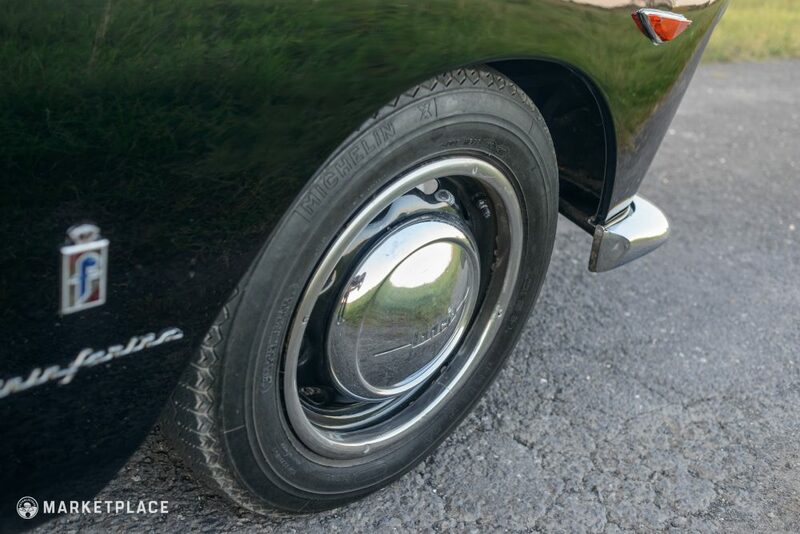 The circular lights mounted high on the fenders surround the wide grille topped by a long hood-mounted intake resembles the larger GTs of the era, and the finned tail provides a perfect complement to the front end and the centrally-located canopy. 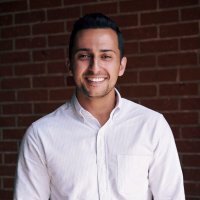 This car is being offered by Andrew Kontra, founding partner of Avenue of Giants, based in Budapest, Hungary and Toronto, Canada. 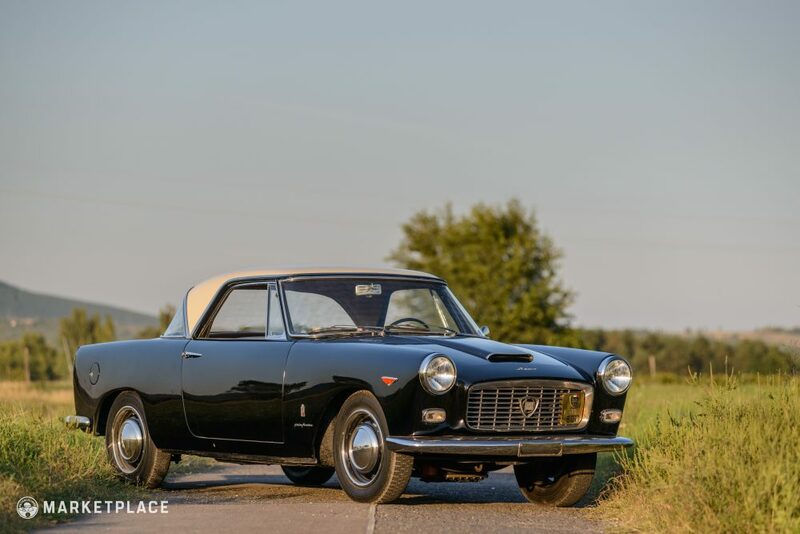 When Lancia made the first Appias in the early 1950s to supplant the aging Ardea, coachbuilders like Pininfarina were quick to draw up their own designs for the bodywork, but it wouldn’t be until the second series of the platform that the factory would begin supplying the craftsman with the bare chassis to produce their designs on. 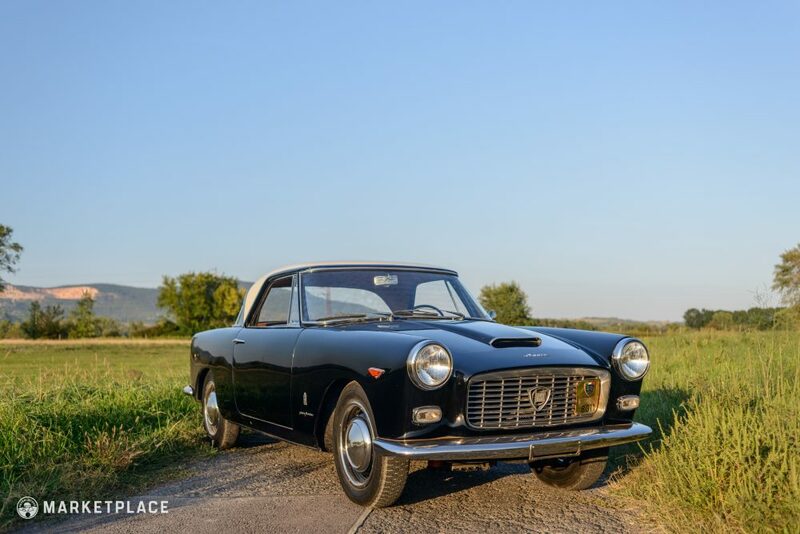 By the end of 1955 Lancia had distributed a few platforms among the builders, and Zagato, Vignale, and Pininfarina emerged as the group to build the special versions. 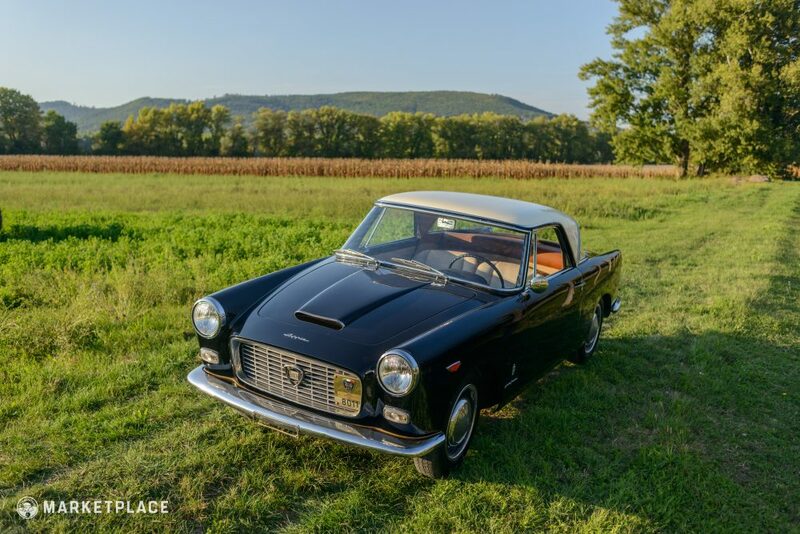 Pininfarina’s design featured a V-shaped roof mounted near the middle of the car’s silhouette, and coupled with the tw0-tone paint schemes available, it bore some resemblance to the larger American coupes being produced overseas, while retaining a decidedly Italian sense of proportion and attention to detail. 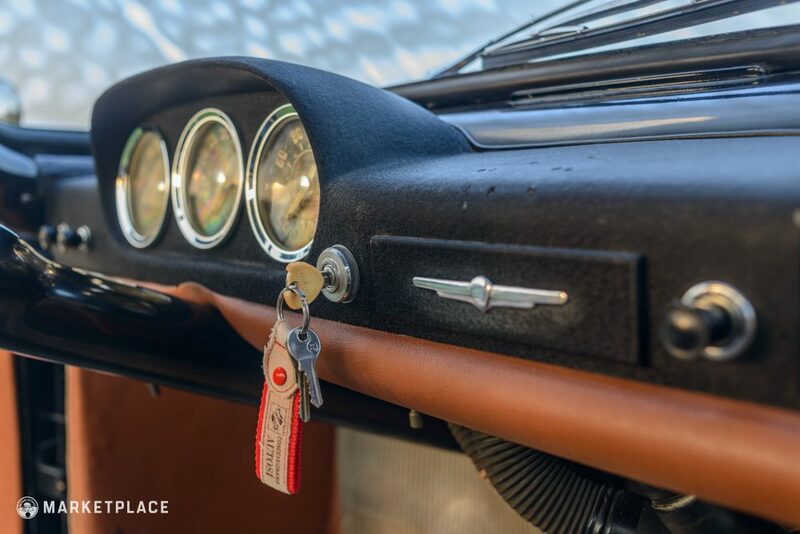 These cars are often described as little bits of jewelry, and the description is applicable to the car as a whole as well as the individual pieces that make it up, each being its own little piece of artistry. 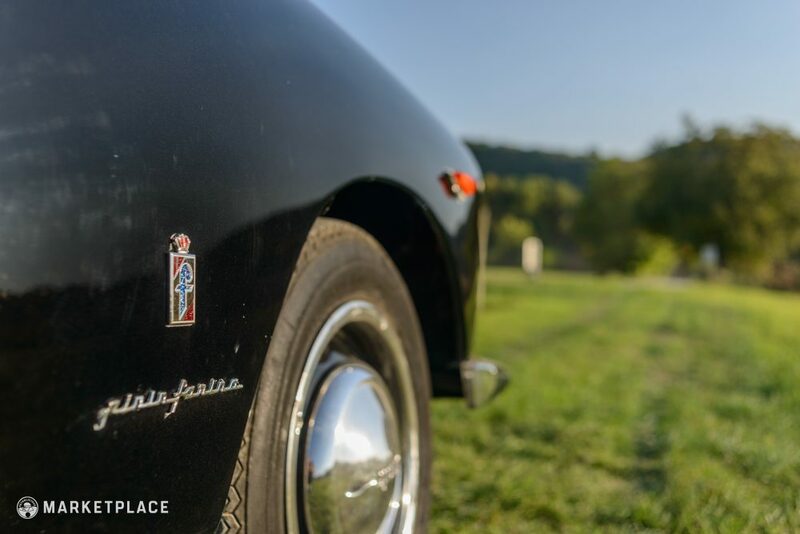 Pininfarina design needs no introduction, but its strong track record includes more than just their work shaping Prancing Horses. 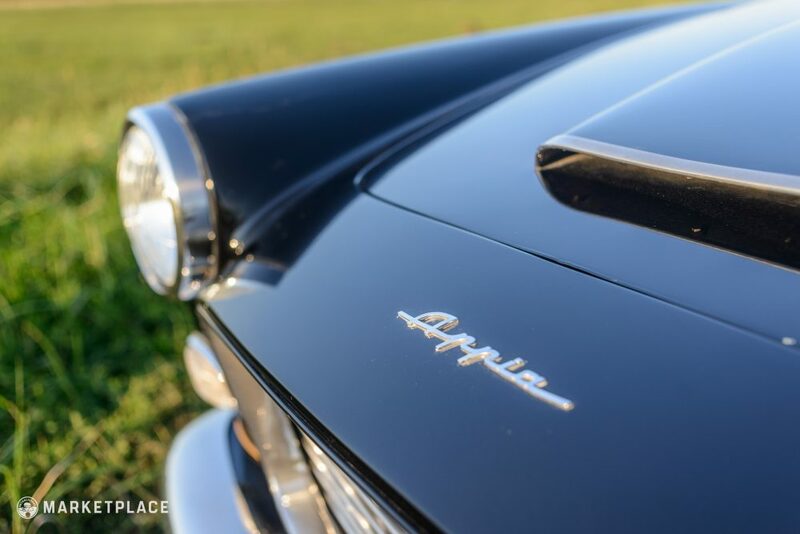 The mark of any good designer or design team is how well they can maintain their look and feel across platforms, and this Appia is a perfect example of how an object can be imbued with a bit of two worlds. 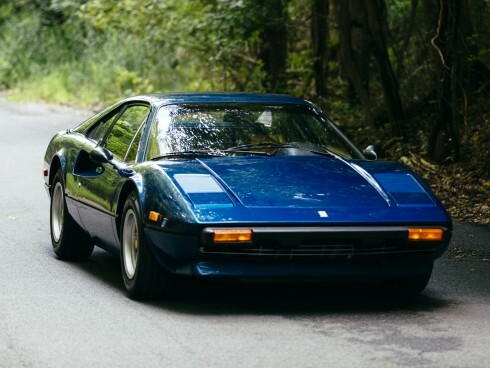 There are some exotic pieces present here, but the overall bodywork is still humble enough where the Ferrari-aping elements don’t monopolize attention; the car looks like a coherent whole.